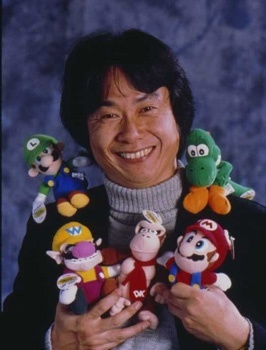 From interviews and public appearances, Miyamoto always seems to carry this persona of a nice guy making fun video games, without ever an angry outburst or a fastball-cellphone pitch to a bumbling assistant. 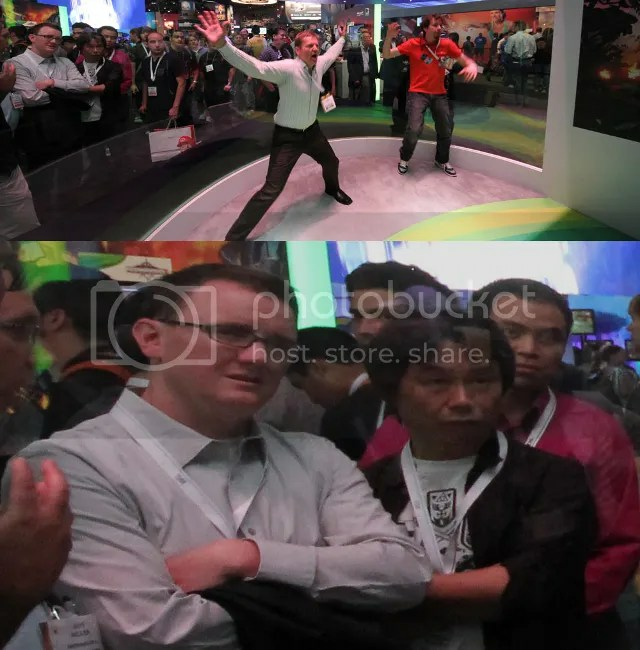 Even during the Nintendo Press Conference at this years E3, when his on-stage demo for The Legend of Zelda: Skyward Sword ran into technical difficulties, he stayed cooler than a cucumber, and even threw out a self-deprecating joke. Maybe that’s his thinking face? But then he is human, and all humans express a rainbow of emotions – even anger. There have been rumors floating around the web about some of these outbursts. Something about upending a tea-table during his development time with Retro Studios as they made Metriod Prime. To that, I would think that Miyamoto is in charge of a large number of Nintendo staff, so really, having to show dissatisfaction at someones’ sub-par work is a common occurrence. Heck, not just for him, but for anyone in a high management position. So yeah, Miyamoto does get angry sometimes, and that’s a good thing too. If all he did was keep it in, we’d probably get some disastrous games, and who the heck wants that. The terrorists, that’s who! 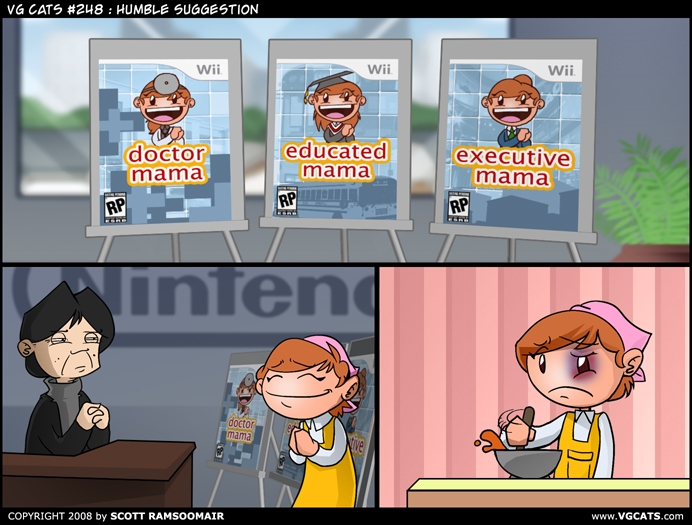 This entry was posted in Sunday Musing and tagged happy, Miyamoto, Nintendo, tea table. Bookmark the permalink.